As we know, health is an important factor in our life. The issue is that most people are reactive rather than proactive and wisdom proves that it should be the opposite. Truly we understand that unless you’re living in a giant bubble with your own air filtration unit, homegrown and grazed food along with minimal contact from germ carrying people – there’s no way to protect yourself from everything. But, and there’s a big but, you can do your part within reason to be aware of those things that can help aid your health in a positive way. If you didn’t know, our lymphatic system is HUGE when it comes to fighting disease in the body. Basically, our lymph nodes act as little germ bodyguards throughout our body, helping to rid of harmful nasty germs. As I read up more on lymphatic massages, it seems that these type of massages encourage the lymph system to do its job more efficiently. More importantly, it will help to move lymph fluid move throughout the body and back to the heart where it concentrates on catching the unwanted foreign particles that may make us sick. **Did you know that the lymph fluid in the lymphatic system depends on your movement and muscle contractions to flow through the body? How do you promote muscle contractions in the body? EXERCISE! Yup, this is one of the reasons why exercise is so important to help your lymphatic system ship those nasty bugs to the nearest lymph nodes to be destroyed and reduced to a less harmful substance. Did you exercise today? 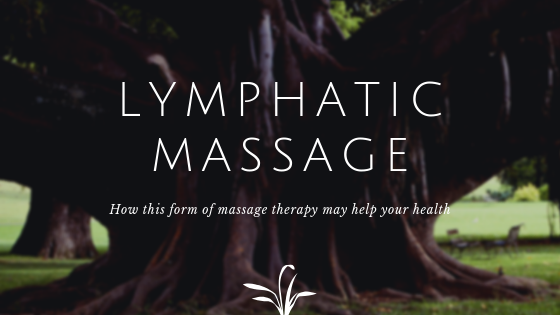 Normal massages have great benefits and appear to work well too, but a massage specifically geared towards increasing the effectiveness of the lymphatic system seems like it may be worth checking out occasionally! Shalom boo! I have an essential oils Desk Reference book that covers the Raindrop Technique massage which covers the lymph nodes along the spine. You are more than welcome tomorrow the book.